Sundance Excellence in Cinematography winner; Obselidia is the save-the-world love story of George Reuben, a man out of step with time, who is chronicling all things that are becoming obsolete in an encyclopedic book called the Obselidia. In his quest to capture people, technologies, and ideas he meets a beautiful cinema projectionist who turns his world upside down. Our lives are a perpetual cycle of birth and death. Like the circle of the seasons every night our old selves die and the next day a new self is reborn. Obselidia is about that cycle and how we give meaning to the things that came before. It's about George, a Librarian consumed with cataloging things that have become obsolete. He meets Sophie, a floaty cinema projectionist working at a silent movie theater in LA. They travel out to Death Valley to meet with a scientist predicting the end of the world. Over the course of their journey both George and Sophie realize something. He's been stuck in the past and she's been running from it and they've been missing out on what's most important - the present moment. 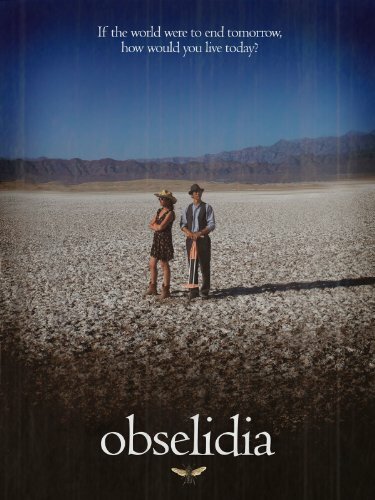 Obselidia premiered at the 2010 Sundance Film Festival and won Excellence in Cinematography and the Alfred P. Sloan Award for Science in the Arts. It's available through, iTunes, Amazon, and several other sources. "Gentle, intelligent, gorgeously made and utterly eccentric, "Obselidia" exists in its own little world entirely apart from any hitherto detected categories of American independent filmmaking."